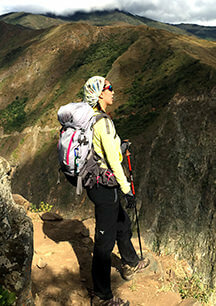 Luxury Machu Picchu tours are for designed for passionate traveler like you. People who love to travel for pleasure and enjoy small details that make a trip unforgettable. You will have a luxurious, sumptuous experience, yet relaxed and full of fun and joy, our philosophy is to create experiences that will last for a lifetime. Our tours will take you to discover the hidden gems of our Country, places that no others reach you will be able to visit will a Local Tour Operator. You will be picked up from your hotel around 11:00am depending on your train schedule and go towards Ollantaytambo in our private van. Where we board the train going Aguas Calientes, the city in the lower part of Machupicchu. We arrive around 2:30pm and transfer to the hotel where you will lots of time to wonder around the beautiful city, exploring the town or visit the hot springs. Dinner will be at a local restaurant and spent the night in the hotel. Wake up early in the morning (breakfast in hotel) in order to take the first bus and watch the sunrise at Machu Picchu. You will have 2 to 3 hours guided tour by your English speaking guide showing you the best of this legendary lost city build between heaven and earth surrounded by magnificent mountains. Then, you will have free time to explore Machu Picchu by yourself or climb the HuaynaPicchu or Machupicchu mountain (optional, book in advance). When you are done exploring, you will catch the bus back to Aguas Calientes for lunch (not included). After, you will take the train and bus back to Cusco, where you will be drop off at your hotel.